Download PDF File for 2019 Seal Watch and Open Days - Please Click Here. 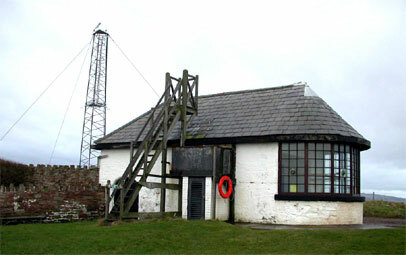 Volunteers from the Friends of Hilbre will staff the old Telegraph Station on Hilbre and offer seal watching through the telescope. Please make your own way to Hilbre at the times specified in the PDF file. Note that Hilbre is open for visits, unstaffed, at other times, whenever the tides are safe for crossing the shore. For enquiries: Please ring Wirral Country Park on Tel. 0151 648 4371 (10am - 4pm, on 7 days a week). IMPORTANT: check the tides before you cross, by ringing Wirral Country Park office, Tel. 0151 648 4371 at times as above, or by reading the notice board at Dee Lane slip way in West Kirby, and using the correct route across the shore. Only cross from Dee Lane, West Kirby. Use the route across the shore shown on the notice board. Please do not damage plants or disturb wild life.